CRANEHAVEN B & B is located on 32 acres of beautiful, private land dedicated as a wildlife preserve and wild bird sanctuary, in Polvadera, New Mexico Being close to the town of Socorro, shopping and restaurants are just a few minutes away. 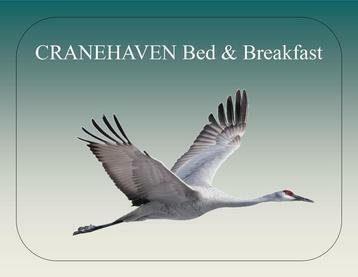 CRANEHAVEN Bed and Breakfast is eco-friendly, a place of peace, a place of acceptance and a place of love. We welcome you to come and be yourself, whoever you are. You will discover that Cranehaven B & B gives you everything you need to relax, feel the energy of life, and enjoy the power and richness of your inner being. 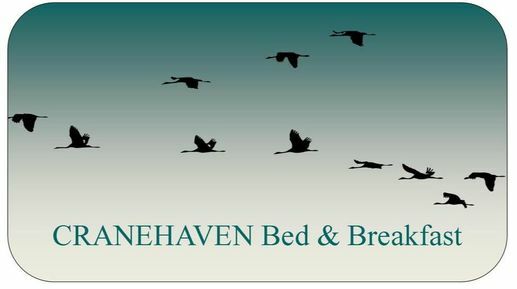 At CRANEHAVEN Bed & Breakfast, you can sleep peacefully, awaken refreshed, have a delicious homemade breakfast, and set your own course for the day. During the summer months, when the cranes aren't there, you can play outdoor games. There's a tether-ball set-up, a basketball hoop, and a horseshoe pit. You can just hang out and enjoy "doing nothing in particular", or maybe you will want to relax in an outdoor hammock suspended between tall cottonwood shade trees, or you can explore nearby wildlife preserves, canyons, ancient pueblo ruins or visit the friendly town of Socorro. However is best for you, we invite you to Explore, Discover, and Grow with us here at CRANEHAVEN B & B.